Welcome to Mayfair Travels website. We are in the lead in travel services in Nigeria and we have a variety of services to render to you. Feel free to look around and send us a message when you can. Mayfair 2009 Copyright. All rights Reserved. You May choose to contact us for more enquiries using the below stated details. We partner with almost all airlines in Nigeria and abroad to bring you the services in travel. We are always looking out for the best in your interest when it comes to travel services. 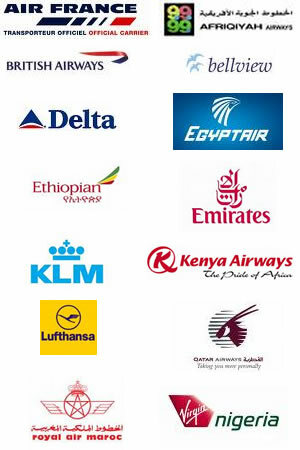 Below is a list of E-ticket Compliant Airlines that we operate with. More airlines will be added to this list and we do hope that by doing so we will gain your utmost interest.